Article by Russell Boniface, Assoc. Editor, “Miami Bridge Draws Solar Power and Transforms into Two Vertical Observation Towers at Night.” (Volume 15, AIArchitect). 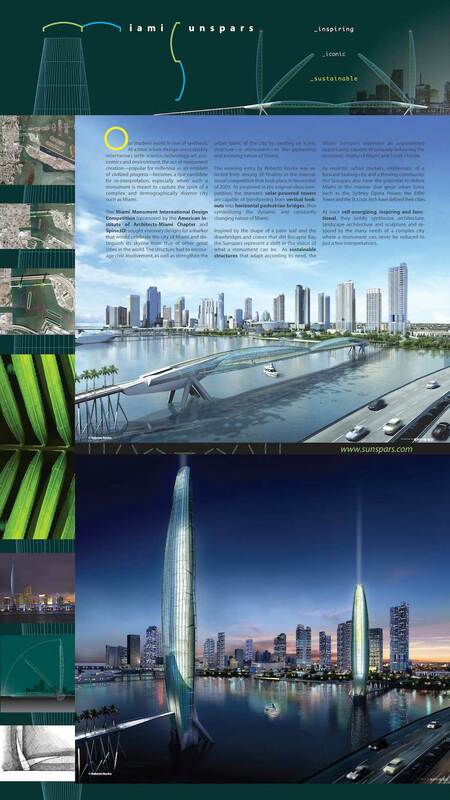 Describes the Miami Sunspars project in the national AIA magazine.